Named one of The Boston Globe’s top places to travel in 2016, Savannah, Georgia is well-known as one of the most popular destinations in the South. With gorgeous historic landmarks, captivating architecture, and tons of tourist attractions at every turn, the appeal of this charming town is quite obvious. But beyond the bustling restaurants, manicured squares, and perfectly decorated homes, this city has quite a few hidden gems that are just waiting to be discovered. Here are our picks for Savannah tourism that will take you off the beaten path and into the heart of our beautiful Southern city. 1. Get a Beignet at Huey’s. You’re not in New Orleans, but with an order of these sweet treats, you may as well be. A local favorite, Huey’s on the River is located right on historic River Street and serves these delicious dessert pastries with powdered sugar and a homemade hot praline sauce. We guarantee your mouth will start to water the minute the plate hits the table! 2. Check Out Super Museum Sunday. On the same day as the Super Bowl, more than 40 museums and cultural establishments across coastal Georgia waive their admission fees and are free for the public to enjoy. If you prefer art, history, and culture over sports and beer, this annual event in February is perfect for you. 3. Visit 13 Bricks Clothing Co. This growing startup company was founded by students of Savannah College of Art and Design and now offers a print and retail gallery on Broad Street. After being worn by Channing Tatum in Magic Mike XXL, 13 Bricks Clothing has a list of Hollywood clientele buying their T-shirts. Head over to the store to check out their merchandise, observe the screen printing process, and get to know Savannah’s local arts scene. 4. Make a Friend at Mrs. Wilkes Dining Room. While you can’t use a credit card or make a reservation, this restaurant on Jones Street offers guests the unique opportunity to get to know one another at community-style dining tables. Serving up delicious Southern classics, this eatery has become a beloved tradition for locals and visitors – including President Barack Obama. 5. Watch Turtles Hatch on Tybee Island. Each year, sea turtle nesting season occurs between the warm months of May and October. After the babies leave their nests in the sand, they make a mad dash for the water, leaving behind little tracks and traces of egg shells. Watching them from the dunes of Tybee Island is truly a magical experience – just be sure to observe from a distance. While there are tons of lodging options in Savannah, staying at the Presidents’ Quarters Inn is a unique, one-of-a-kind experience all in itself. Nestled in the heart of the historic district on Oglethorpe Square, our beautiful bed and breakfast has an exclusive location that is steps away from the many great sights, attractions, and secrets that the city has to offer. Plus, we’ll give you some tips and tricks for exploring the absolute best parts of our city. We can’t wait to see what you discover! 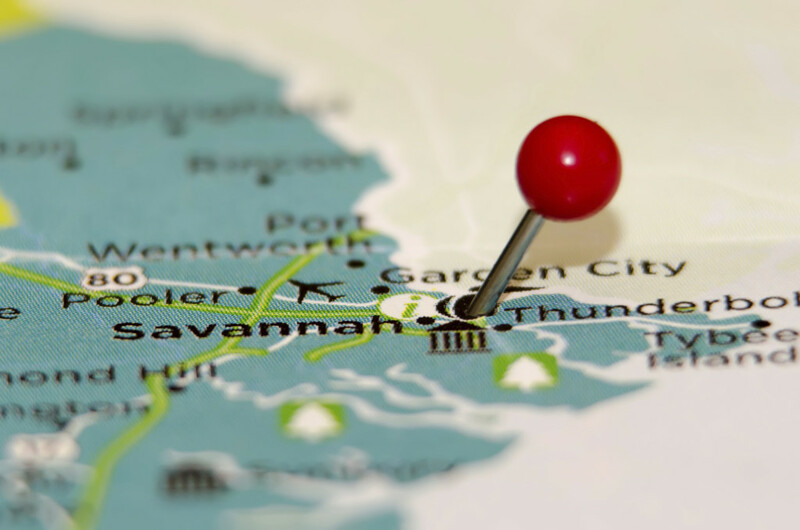 For more insider information on things to do in Savannah, GA, download our free vacation guide. Your Guide to the Best Sightseeing in Savannah, GA — Where are the Best Breweries in Savannah, GA?